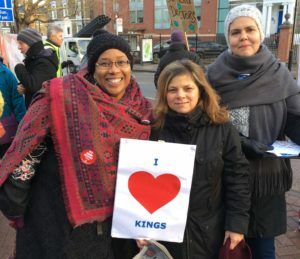 Unite members, staff and campaigners from four London KONP groups demonstrated their condemnation of NHS Improvement’s bully boy actions against Kings College Hospital NHS Foundation Trust outside Kings on Denmark Hill Tuesday 19 December. Imposing Ian Smith as new interim chair of Kings: he is Operating Partner at private equity firm Trilantic Capital Partners, said to have close to £2 billion of assets in Europe. He was displaced in April 2016 as Chair of Four Seasons Healthcare, itself owned by private equity concerns, though he retains interests there. 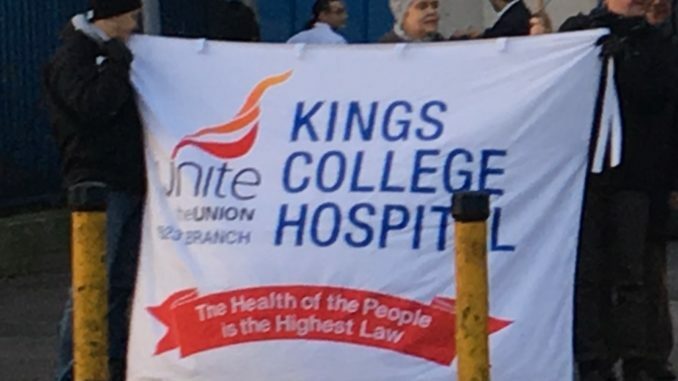 The chair of Kings College Hospital NHS Foundation Trust, Bob Kerslake, resigned his post on 11 December in protest at the impossible position in which Kings and other parts of the NHS have been placed. The majority of underfunded acute trusts are running at financial deficits, choosing to deliver safe care and trying to meet clinical targets. In the full media spotlight, Kerslake added his vociferous verdict to the chorus of others in stating that the NHS is being asked to do the impossible within the funds provided: he is clear that this is no longer safe. This follows the failure of Philip Hammond to act to allocate sufficient funding to the NHS at The Autumn budget, conspicuously ignoring serious warnings from an array of NHS managers, think tanks, politicians, clinicians and campaigners (KONP 14/11/17). 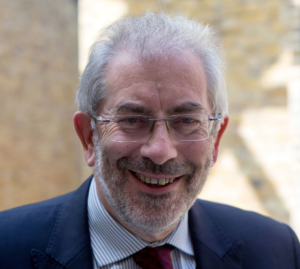 Kerslake wrote a Guardian opinion piece entitled I’m quitting as a hospital boss: dire NHS funding problems give me no choice outlining that that he was resigning as “the Government … are simply not facing up to the enormous challenges that the NHS is currently facing”. After two years of delivering or getting close to the deficit target agreed with our regulator NHS Improvement, King’s has moved significantly away from its planned figure for this year. We’re far from alone – almost every hospital in London is struggling – but the scale of the deficit and the change means that we will be put into financial special measures. The chair was held in very high regard by staff at all levels. It was apparent the chair had gained the respect of staff with people reporting their approval at how the chair promoted the highest level of probity and governance and of how he demonstrated the organisation’s values and behaviours. Under his leadership the shape of the board was said to have changed to one where the right skills and vision was present at board level. Immediately his prediction was proved right as a coordinated response set out to imply he was incompetent all along! – ‘Bungling Bob’ etc (see our media links below). Recently, we detailed other influential sources who have spoken out about NHS underfunding (Fund Our NHS!). NHS bosses, think tanks and MPs from both parties have called on the Government to pledge more money to the NHS. When Hammond conceded less than half of urgent NHS needs in the Autumn Budget, this meant that we would inevitably see more underfunded trusts falling foul of NHS England and NHS Improvement; accused of overspending, through no fault of the NHS staff desperately trying to deliver safe care in crisis conditions; and placed in special measures – enabling imposed outsiders to force through unacceptable cuts. Already we see that most hospital trusts across the UK NHS are not meeting targets – and we have yet to see the worst of winter. A&E targets have not been met in England for two years. To make matters even worse and place more strain on the NHS the Local Government Association have reported that council funding is to be further cut in half over next two years, this will have a direct and devastating impact on social care and put further strain on a nearly broken NHS. Kerslake’s quitting is a sad day for the NHS but he has drawn attention to just how much we need to fight for it to be returned to a fully funded, provided and accountable NHS. You can see how your trust in your area is performing as it struggles with underfunding and tries to meet A&E, Cancer and Operations targets via the BBC NHS tracker. You can join Keep Our NHS Public here and help us to campaign to save our NHS. Some right wing news outlets chose a different (more inflammatory) angle, presumably to sully his name. Thank you for caring for the NHS, Thanks to everyone who is trying to protect it. Let’s hope we can rid ourselves of this gvnt who, for 7 years now, has done its absolute best to destroy it.